Ever wondered why the subject of drug testing is a debatable topic in some circles and an absolute must in others? There are tests that can detect up to 12 different substances, through the sampling of saliva, urine, blood, and in more extreme cases, hair. The reasons for each test can vary, from professional hiring, driver analysis following an accident, parole or probationary check-ups, and random sampling in the case of many large corporations, particularly in regards to construction and manufacturing. However, times are changing, and now, there are also several technological and customer service based corporations that are moving in the random testing direction. This is often due to insurance requirements, both on the business end and for employees to qualify for health benefits. In today’s highly conscious world, it is also common practice to be subject to a drug test upon which a job is contingent, before being hired. Currently, there is a set of five common substances which are tested for on a regular basis, alcohol being the 6th. These are often included in probationary periods. 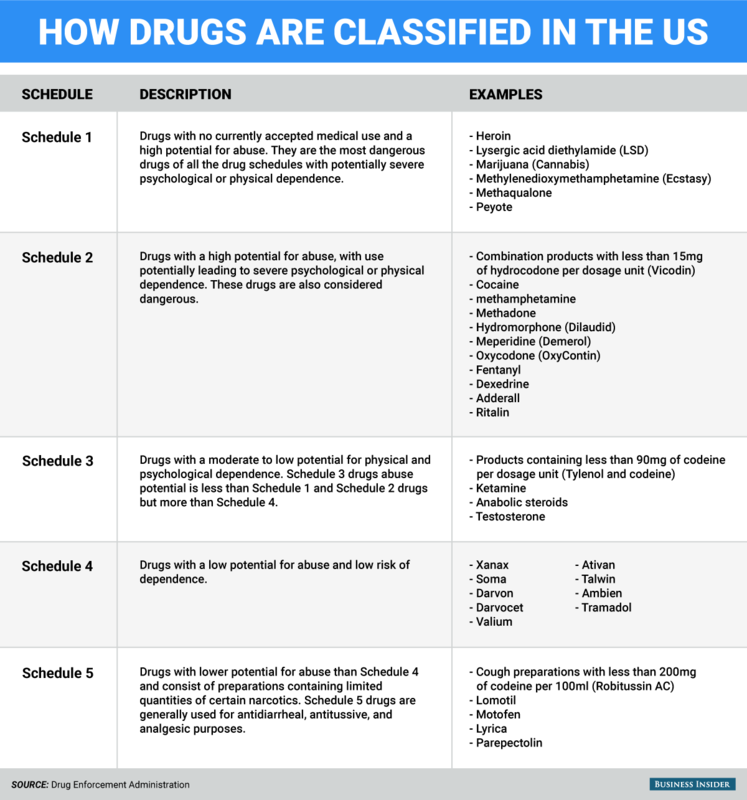 The current set Federal Schedule 1 parameters in the United States reads that the substances “are dangerous, and have no known medicinal value.” This is the highest and most illegal status for a substance. The reassessment of THC-9, CBD compounds, and the now 30 other known compounds that aid in healing, by the medical community deserves attention. The other four drugs on the Schedule 1 list are amphetamines, cocaine, opiates, and PCP. As we have seen throughout the 20th century, these drugs are highly addictive and cause more damage than good in a large percentage of cases. There has also been a long standing dependence on opiate-based pain mitigation within the medical community due to the fact that there are several legal, Schedule 2 drugs that have been created by pharmaceutical companies to be sold for substantial profits. These can be short-term solutions in an emergency medical setting; however, the addiction rate is so high that it is counterintuitive, especially when CBD and other marijuana-related compounds can be observed as a better mitigation choice, because they effectively treat the inflammatory response instead of simply numbing the pain. Though a highly controversial topic, we still cannot ignore the fact that there are now known and embraced benefits, along with legal treatment options. There are many situations which require a drug test, and many ways to take one. 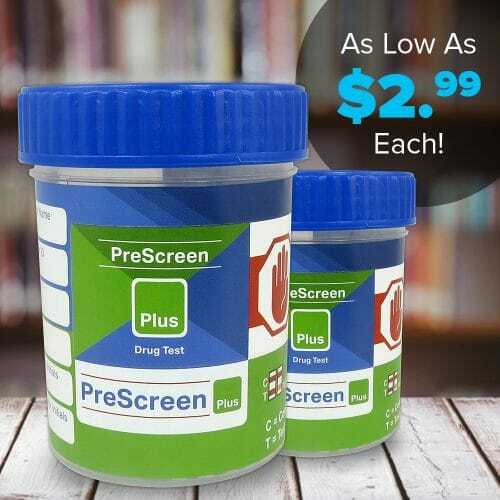 Home drug tests are fairly standardized at this point, and a variety of them can be purchased at drug stores or online, either to test someone else or yourself before a lab test is given to assess the likelihood of failure. However, home tests are generally reserved for saliva and urine only. They are available as 5-12 panel tests, and results are available immediately. 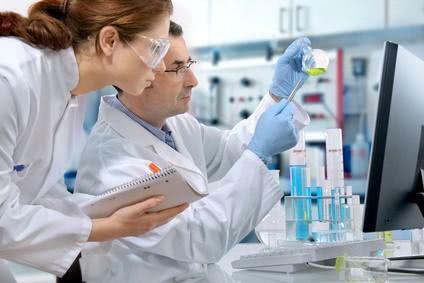 Lab tests are much costlier and require an external company to obtain the results. However, a lab test is an accurate way to assure a standardized testing environment, especially when testing urine, as it is the easiest medium to alter. 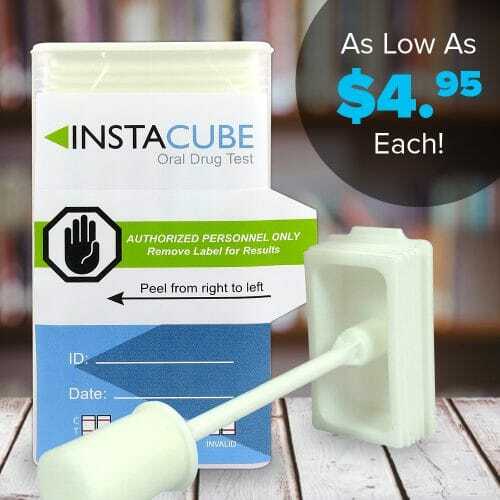 Oral testing is the most cost effective, accurate, and economical solution to drug testing. Obtaining blood or hair test results is more complex, and blood is a bio-hazard, as well. Therefore, special handling is required to prevent damage to the specimen and to produce accurate results. This can cause delays in hiring, approving probation release, and other functions that require drug testing such as safety compliance within a company that includes machine operation. Saliva testing is one of the least invasive drug tests that can be administered. It has grown in popularity for a number of reasons, including the acquisition of immediate results. Saliva tests are also almost impossible to cheat on or alter, as the sample is being collected right in front of the tester, also eliminating the need for privacy. Saliva tests are best for immediate use detection, as oral fluid is connected to the bloodstream via the vessels under the tongue and around the gums, showing the presence of drugs upon ingestion. Urine collection, which can be less complicated than a blood or hair test as it does not require needles or the collection of a hair sample, is still a timely process, which costs much more than the saliva test (as there is also a processing fee) and requires a certain level of privacy. The detection times are slightly different as well, with urine taking minutes or more to detect a positive or negative result. Blood testing detects more immediate usage and can detect the presence of drugs and their metabolites for a period of several hours. Therefore, blood tests are important in determining automobile accident fault and in the case of “on-the-job” injury, determining whether or not to award workers compensation. Urine testing detects the presence of drugs for several days in most cases, with the exception of THC-9, which is generally detectable for up to 30 days or longer depending on consumption rates and the metabolism of the individual. This is where we still find an imbalance in the rate of metabolism of THC-9 versus cocaine, for example, which is gone in 3-5 days after cessation. This means that if a person smokes enough marijuana 30 days before a drug test, they will test positive for THC-9, at any volume over 50PPB. However, if a person does cocaine 5 days before their test, they will likely come up with a negative test result. The length of detection times between hair and urine tests are vastly different. Urine detects the presence of drugs for up to 30 days in the case of THC-9, and several days for other drugs. Hair testing can detect the presence of drugs for years depending on the length of the sample; however, the test has been standardized to test for a period of 90 days. Keeping this in mind, hair testing does not detect immediate drug usage like urine testing, and therefore, hair drug testing is more effective in determining long-term drug use rather than immediate use. Urine can show traces of substances and metabolites in a matter of minutes, and lasts for days in most cases (again with the exception of THC-9). Another risk with hair testing is an inaccurate result based on being exposed to an environment in which the drug is frequently used, such as combustible substances like marijuana, PCP, and others that are burned and inhaled in the presence of the person being tested, even if they did not ingest the drugs themselves. This false positive in a potential accuracy issue. Oral testing is an immediate detector, while sweat, similarly to hair, takes time to show traces of drugs and their metabolites. With oral testing, the presence of drugs is immediately obvious with a cheek swab, while a sweat test consists of applying a patch to the skin for 7-10 days and then sending it off to a lab to be assessed. This is a much less popular testing method, due to its lengthy nature and limited 5-panel capabilities. Oral testing is much more efficient, and again, better for reporting immediate use. The sweat test is also potentially compromised much more easily due to contamination of the sample with dirt, water, or other biological agents. Because the purity of the sample is important for accurate results, oral testing is an obviously better option. There is an unmatched number of people incarcerated in the United States, and policing the population on conditional release is a big business. Because there are so many people in the system who require routine testing to assure sobriety, oral testing is one of the most popular options, rendering immediate results and requiring the least amount of privacy. Urine comes in second, as it detects the presence of drugs for a slightly longer period of time, which may more closely satisfy the conditions of release. 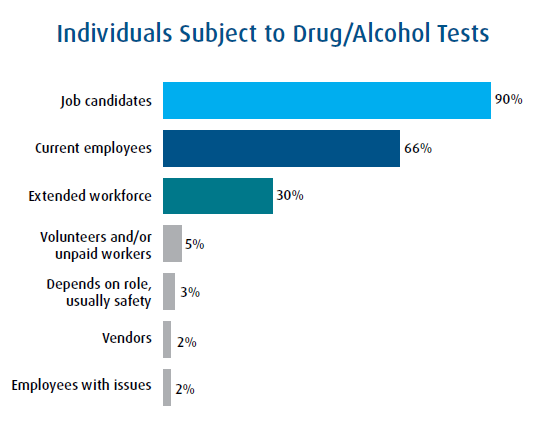 It is no secret that most companies drug test their potential and current employees now, as a way to ensure higher levels of safety within their business, as well as to satisfy insurance providers requirements for carrying employees on their policies. Particularly in the instance of initial employment, many companies want to ensure that new hires start clean. A negative result means that an employee is more likely to be aware of their choices, responsibilities, and duties, as well as show higher performance results. There are many facets to substance abuse, and in the cases of insurance and injury, many companies simply cannot afford to take any chances. When an accident occurs, whether at work or on the road, insurance and medical claims play a significant role in the process. A drug test is often administered either on the spot or at the hospital, if an injury is bad enough, to determine the fault of the employee or the company. If an employee tests negative for illegal substances, the insurance company or employer will be expected to pay for damages. However, if an employee tests positive, he or she may even be arrested while also being held responsible. In the case of manufacturing and industrial tests, random tests are a critical business move used to minimize potential accidents or mishaps. In these cases, oral drug testing leads the way in being cost effective, quick, and accurate. Blood and hair drug tests are less effective in this category. Some people oppose drug testing because they feel it discriminates against the freedom of choice one has in his or her personal life. Traditionally, the backlash has been from pro-marijuana supporters because of the length of time THC-9 stays in the system versus every other drug on the same schedule. In the interest of safety, however, logic rules. The rest of the drugs, cocaine, amphetamines, opiates and PCP have proven to be highly addictive, creating dangerous circumstances not only for the user, but for others as well. Addiction is a serious issue, and in many cases, testing can be used to determine and assess an individuals’ drug usage levels. Mixed feelings can occur here, as well, because of the fact that addiction is treated as a crime in the United States, instead of as a health issue. While each form of drug testing has its own pros and cons, one thing remains very clear. Whether performed in a lab or in the comfort of your own home, drug tests can provide quick, accurate results to confirm or deny the presence of many illegal substances in your system. In the 21st century, we can be sure that whether scheduled or random, drug testing is a reality for most individuals who live and work in the United States.